﻿ Belmont County Military Veterans Museum - Ohio. Find It Here. 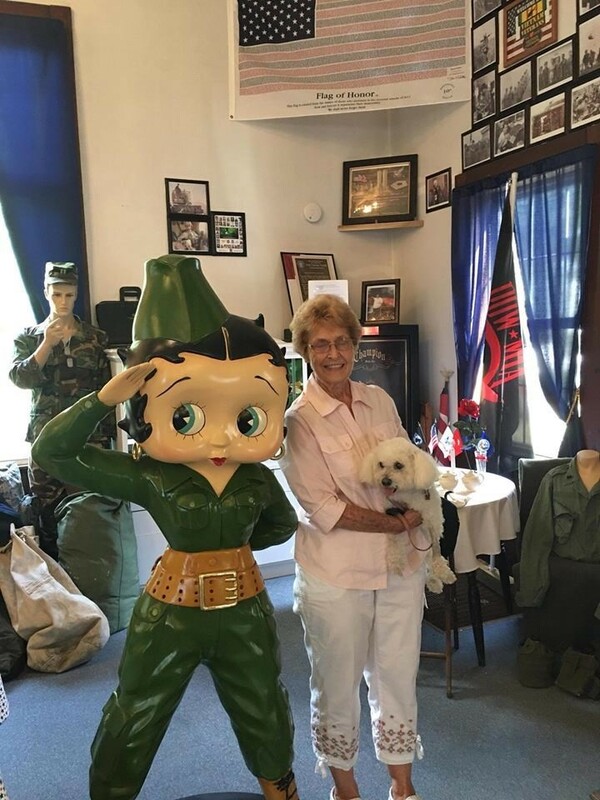 The Belmont County American Legion Military Veterans Museum is the home of artifacts and history pertaining to the service provided by veterans from Belmont County. The building was the location of the Belmont United Methodist Church up to 1919. The Belmont American Legion organized in Belmont in 1920 with World War I veterans and met in another building near the train station. After World War II, they bought this building and added a kitchen, front porch, and a room across the west side of the front where smaller meetings were held. At the peak time of membership there were 155 members after WW II.The unmarked graves of Joseph Wright (founder of Wrightstown later changed to Belmont) and other founders of the first Quaker church in town are behind the building. Prior to construction of the frame structure of the current building, there was a log Quaker meeting house on this site.The purpose of the museum is to honor those who have served our country and to educate future generations that the price of freedom is not free. The museum is open by appointment. There is no admission fee, however, donations are welcomed. Free parking and handicap accessibility.